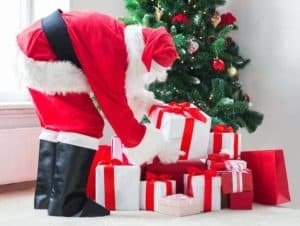 If you were fortunate enough to find a shiny new Blendtec blender under your Christmas tree this year, you’re probably wondering what to make with it now. We have listed 5 easy Blendtec recipes (Vitamix too) that will be fun to try and they go beyond the typical smoothie. You may have looked through the Blendtec recipes book or watched the Vitamix recipe instructional DVD and been overwhelmed by some of the more complex recipes, but don’t get scared and think about returning it just yet. Below are five easy recipes to get you started with your new blender. Smoothies are one of the biggest health crazes right now and smoothie shops are popping up on every corner. If you’ve ever set foot in one, it’s likely that you spent at least $5 for a smoothie.This green smoothie recipe is easy to make and won’t cost you nearly as much as it would if you bought it from a smoothie shop. And if you’re looking for a good, reusable cup to take your smoothie with you, this one from Vitamix is my favorite. Add all of the ingredients to the blender container, secure the lid, then blend on high for 1-2 minutes until the mixture is smooth. That’s it, enjoy! 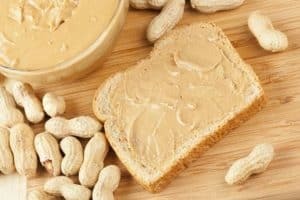 Once you make your own peanut butter, you’ll never want to go back to store-bought brands. 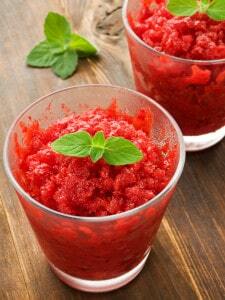 This Blendtec recipe is amazingly simple and you can even experiment to find new flavors. Pour all of the peanuts (and any optional ingredients) into the blender container and secure the lid, then blend on high until you reach your desired consistency. You will probably need to push the peanuts down towards the blades while the blender is running since the mixture is so thick. If you have a Vitamix, you’ll use your tamper for this. 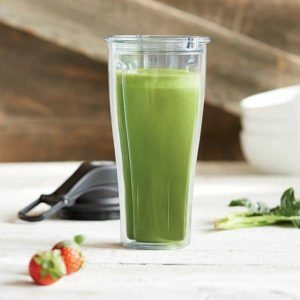 If you have a Blendtec, you may need to turn off the blender and push things down a few times or you can use their Twister Jar, which has special blades attached to the lid to allow you to push ingredients down while blending. You can store the peanut butter in your refrigerator for 3-4 months, but it’s so good that I doubt it’ll last that long. Bonus tip: Try some right out of the container when it’s still warm. It is amazing! Heating up soup with just the friction created inside your blender is something that you should do to amaze your kids and friends, and it also creates some pretty tasty results. 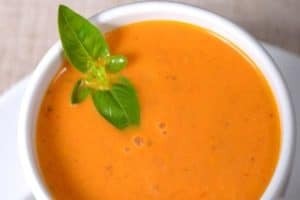 This Blendtec recipe is super easy to make and fast with it’s high horsepower motor.This roasted tomato soup is my favorite soup to make because it’s easy, inexpensive, and is the perfect pairing to grilled cheese on a cold day. Preheat your oven to 325° and mix the tomatoes, onion, thyme, sugar, salt, garlic and oil in a large mixing bowl so that everything is coated and combined. Pour the mixture into a baking pan and roast in the oven for 1 1/2 hours. Remove the sheet from the oven and discard the thyme sprigs, then pour the remaining mixture into the blender container, add the vegetable stock and blend on high for 1-2 minutes until smooth. Add all of the ingredients to the blender container, secure the lid, then blend on high for 30-45 seconds. You can store any leftover dressing in your refrigerator in an airtight container for about a week. Just shake it up to recombine before you use it. Having a quick and easy recipe for dessert is important for anyone with a sweet tooth and making fruit sorbet is about as easy as it gets. 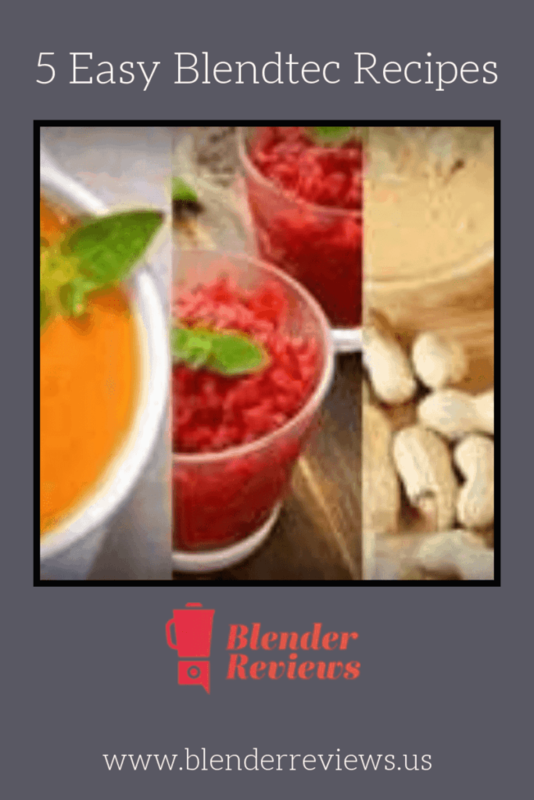 This is one of my favorite Blendtec recipes and even the kids like it!This recipe is flexible, so just choose your favorite fruit, freeze it, then blend it up. Add all of the ingredients to the blender container, secure the lid, then blend on high for 30-45 seconds. Any longer than that and the friction heat will cause the ingredients to start to melt too much. You’ll need to push the ingredients down into the blades as you’re blending, so you’ll need your tamper if you’re using a Vitamix, or the Twister Jar if you’re using a Blendtec. With a little practice and an openness to experiment, you’ll be making great tasting food and drinks in your new blender on your own before you know it. If you need more inspiration, check out our recipes and tips pages for new ideas.